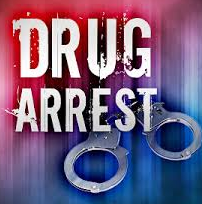 On April 3rd, 2018, Detective Lamatasch with the Hugoton Police Department recieved information from the Morton County Sheriff’s Department that a subject wanted on a warrant was possibly in Hugoton. Det. Lamatasch recently went to a location in the 900 block of Coulter Drive to look for the subject. While there, Det. Lamatasch discovered marijuana and paraphernalia inside the residence. Through the investigation, it was determined that the marijuana and paraphernalia belonged to Aaron Warren, 21, of Moscow and Shadai Brown, 24, of Wichita. An affidavit has been forwarded to the Stevens County Prosecutor for formal charges.